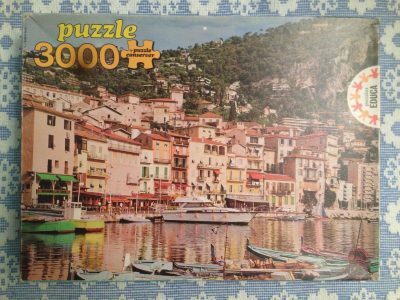 Ravensburger manufactured this puzzle in 2000. This is one of the most popular masterpieces in the history of painting: The Creation of Adam, by Michelangelo. 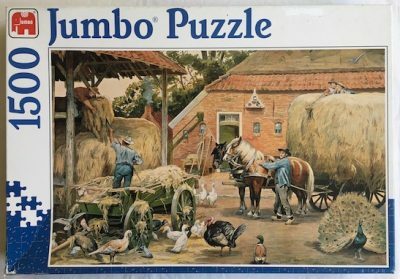 Many different jigsaw brands have published different versions of this puzzle. 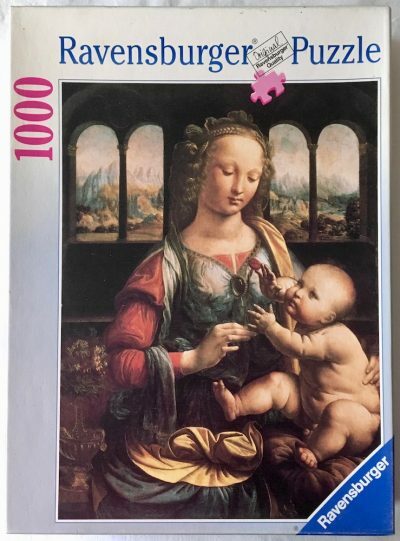 The largest edition available is the 13200 pieces version by Clementoni. 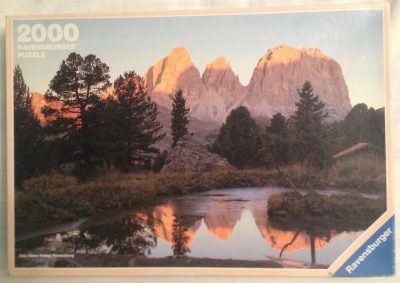 Puzzle size: 285 x 138 cm. Box size: 43 x 30 x 17.5 cm. Reference number: 17 832 2.